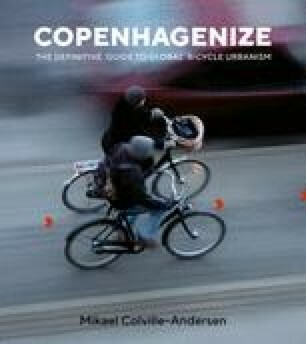 With good reason, hundreds of delegations come to cities like Copenhagen and Amsterdam every year to study and learn from the cities’ consistent efforts to make the bicycle a respected and equal transport form and solve all manner of traffic and societal challenges. Copenhagen wasn’t always Copenhagen—and that is so incredibly important to remember. Mistakes have been made, both large and small. This city was as car-clogged as anywhere else on the planet through the 1950s and 1960s. From a cycling peak in 1949, we took the on-ramp to the motorway of two decades of dismantling the city to make space for cars. A great deal of the bicycle infrastructure we had built was removed in the race for automobile space.